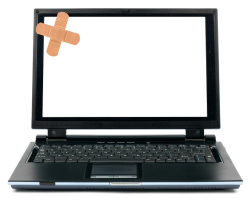 If your Laptop or Desktop PC stops working it can be frustrating and extremely inconvenient. Bluefish Computer Services can repair your PC quickly and efficiently, either here in our workshop or if more convenient at your home or place of work. We are friendly and approachable and have over 17 years worth of expedience in the IT industry. We can fix hardware and software faults, complete a full service to speed up your system, upgrade your system and many more services. We are based in Chichester and are fully approved by West Sussex Trading Standards in their “Buy With Confidence” scheme. To have a chat about your needs please feel free to Contact Us.